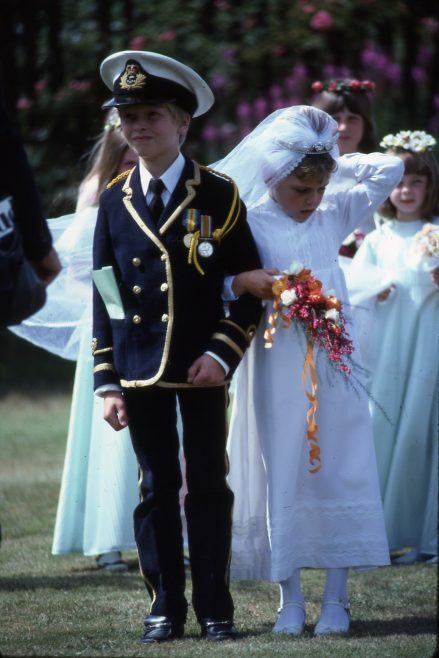 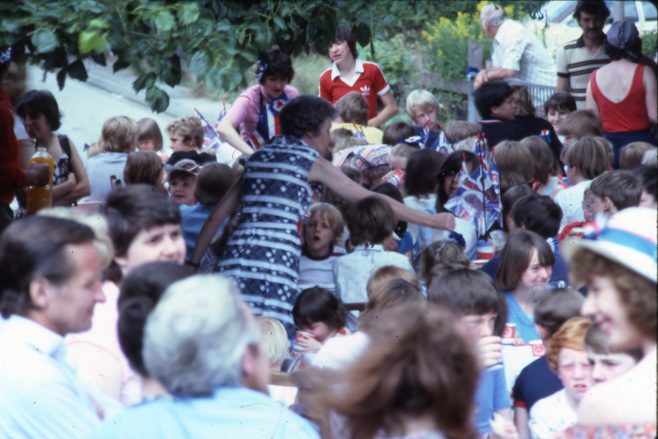 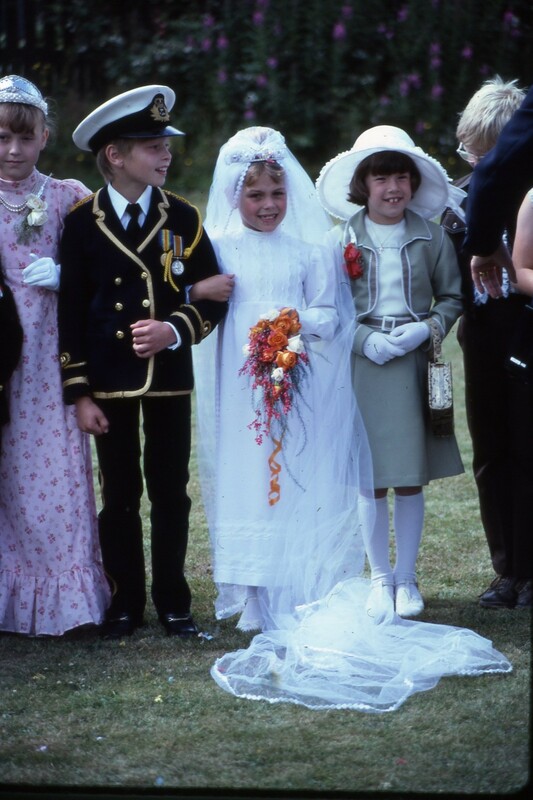 You are here: HomenextTopicsnextEducationnextRainworth Royal Wedding Celebration 1981 Street Party and Heathlands. 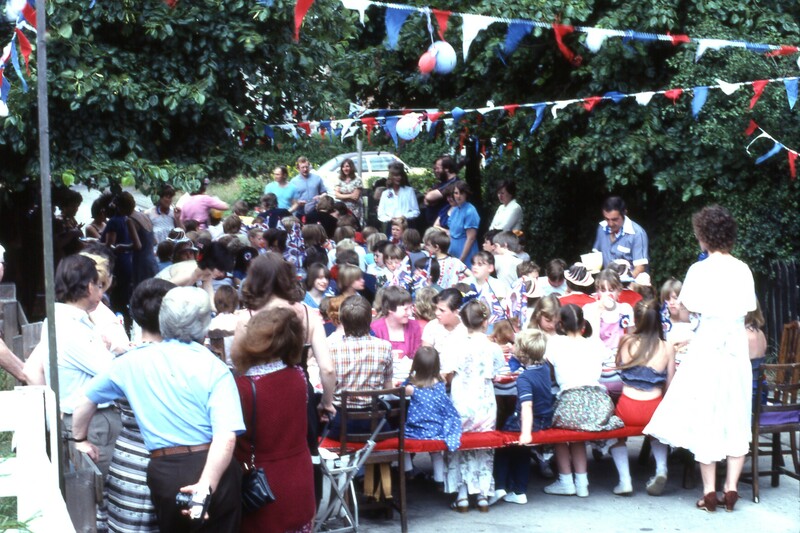 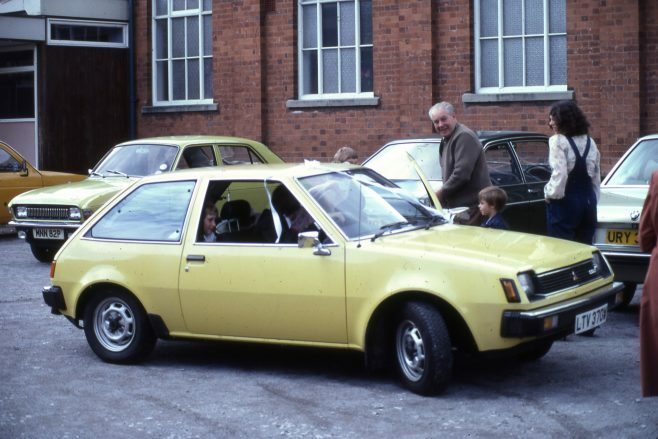 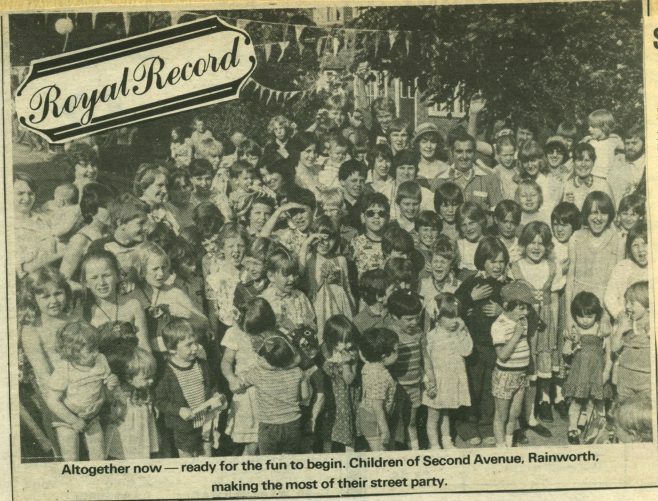 On the occasion of the Royal Wedding in 1981, Second Avenue, in Rainworth held another Street Party. 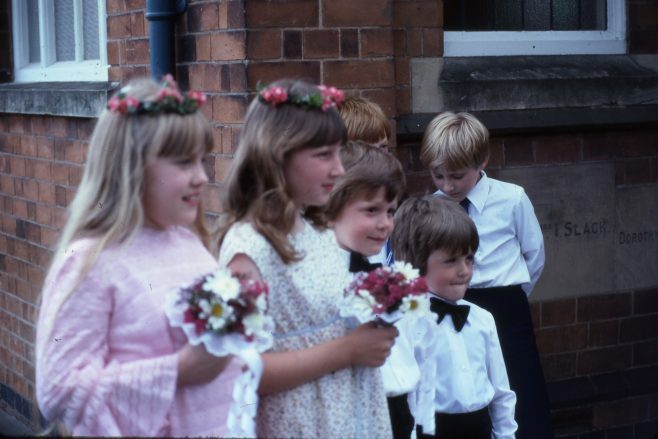 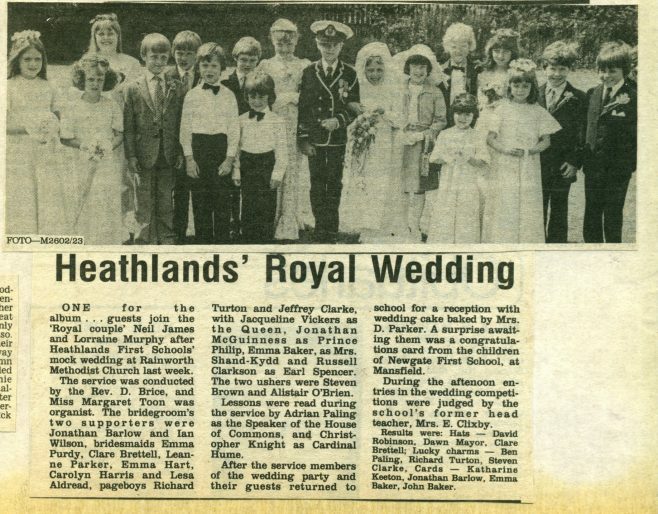 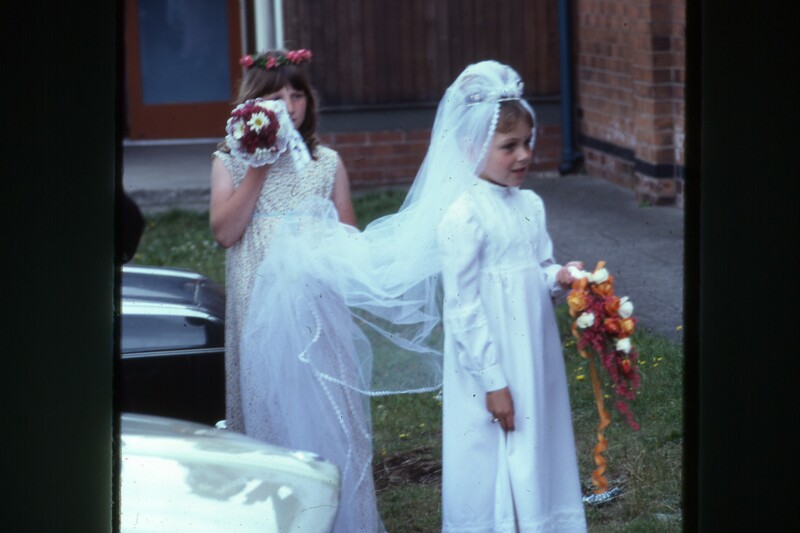 Heathlands First school, Rainworth, held a mock Royal Wedding at Rainworth Methodist Church. 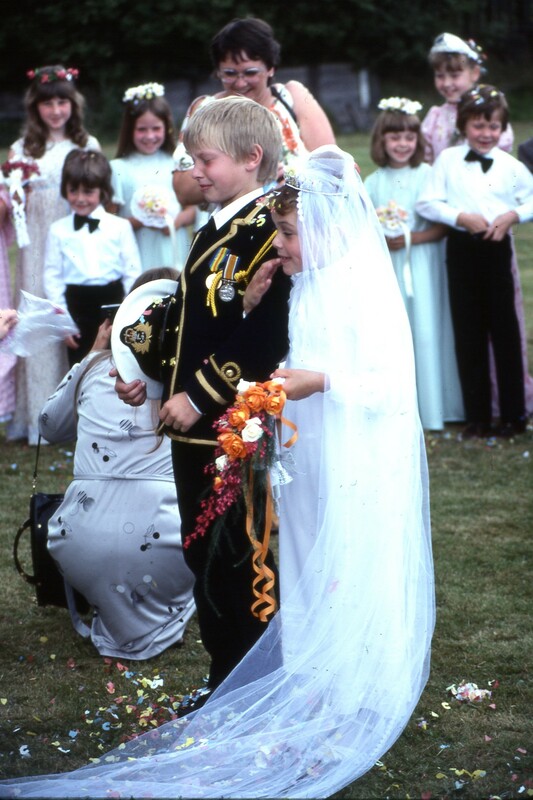 The bride was Lorraine Murphy and the Groom was Neil James. 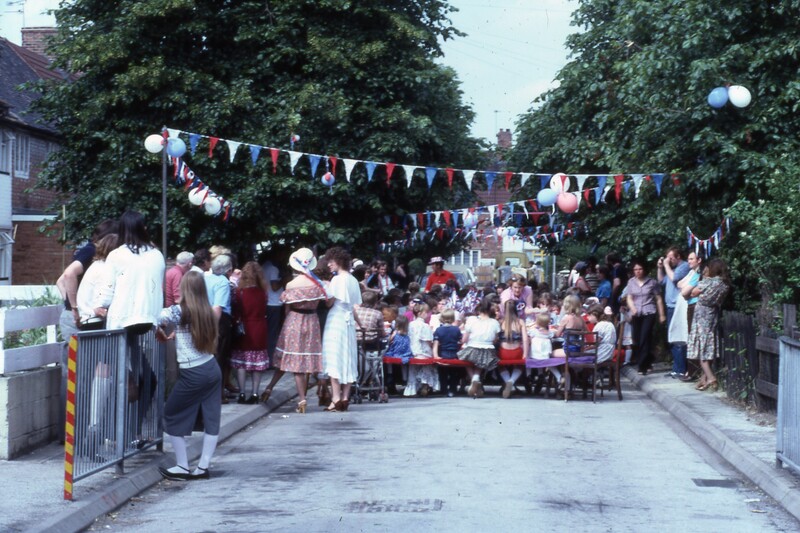 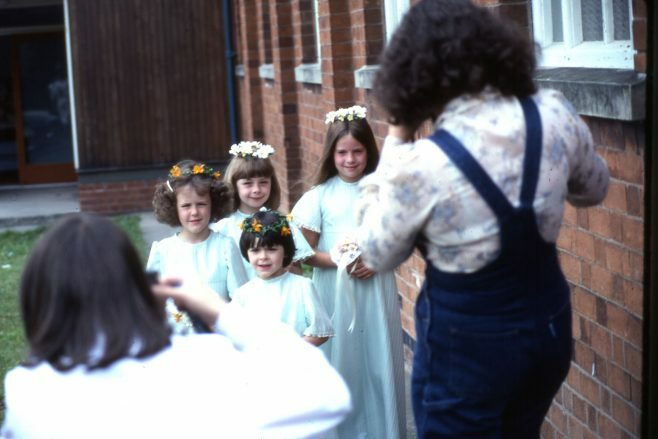 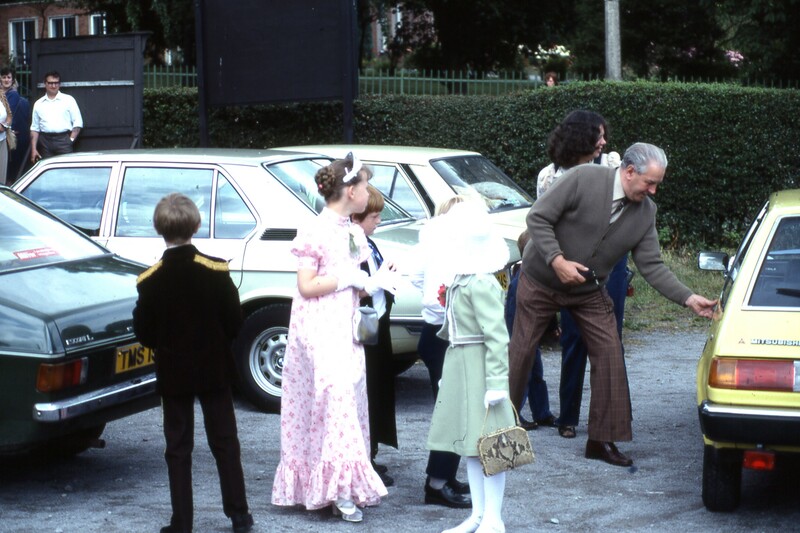 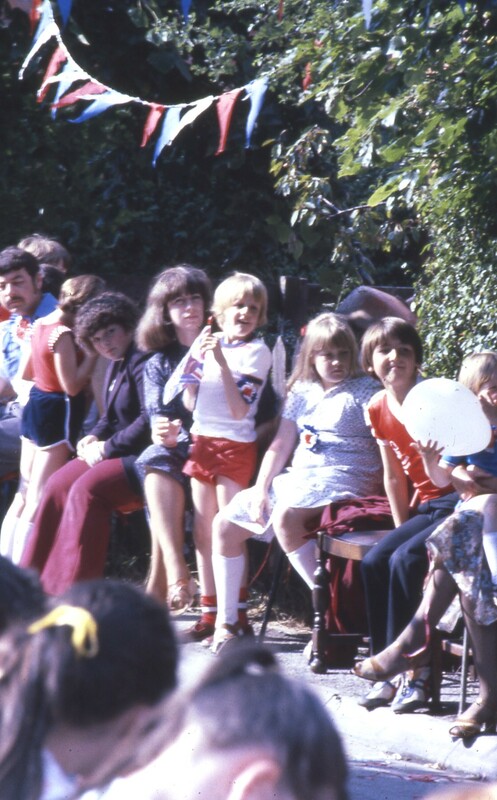 1981 Royal Wedding street party, 2nd ave, Rainworth. 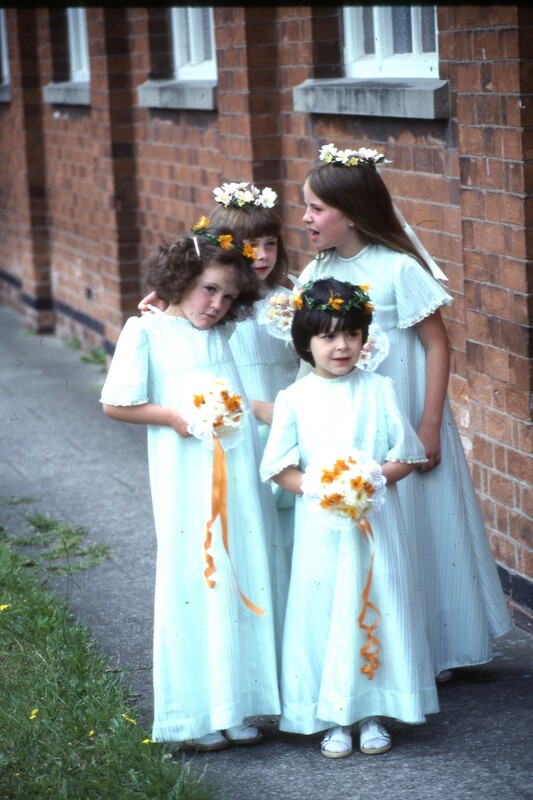 What a lovely day we had, my daughter was one of the bridesmaids, I made their dresses and did all the flowers.